Our spacious modern furnished comfort rooms are all equipped with comfortable twin beds for a good night's sleep and have a balcony or terrace . The bathroom has a bath and separate shower. Prices are without €1.15 euro residency tax p.p.p.n. An excellent restaurant and cosy hotel bar. Delicious food and drinks in a homely ambiance. Located in close vicinity to National Park Weerribben-Wieden. The direct surroundings of our hotel offer endless cycling, hiking and sailing possibilities. 6 Multifunctional meeting rooms for all your small and large events. We make sure all your needs are catered for. 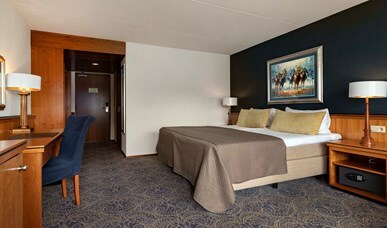 Our Economy rooms with classic interior have comfortable twin beds. They come with a spacious bathroom that contains a bath and separate shower. 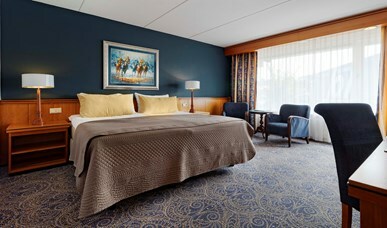 Our spacious Economy King rooms with classic interior have extra large king beds. The bathroom contains a bath, a separate shower. All our spacious Economy rooms with classic interior come with twin beds. The generous-sized bathroom has a bath and a separate shower. Would you like to have your children close, but have your privacy at the same time? 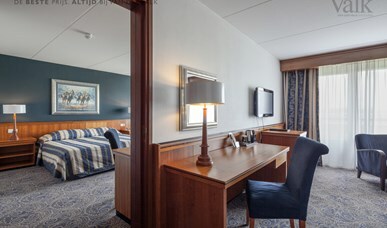 You can in our rooms with connecting doors! 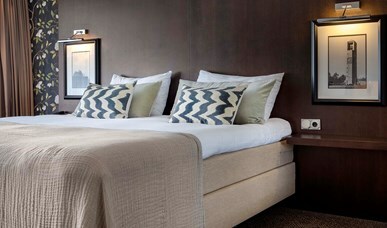 Our Comfort Triple rooms with modern interior have comfortable twin beds and a separate single bed. The spacious bathroom contains a bath and separate shower. Would you like to sleep in a room with your children? In that case our family room is perfect for you and your family!